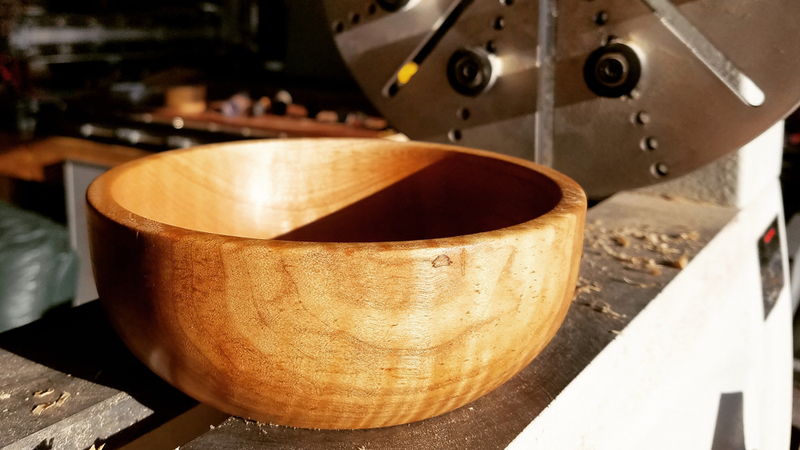 I entered the rabbit hole of turning with this bowl. It’s Figured Maple and was a great first bowl to carve and learn from. I took it down over two months to help it from splitting. A simple bowl was what I was after. I bought a bowl blank knowing it would work well after playing with some log slices. It was then sanded to 800 grit before finishing it with mineral oil.